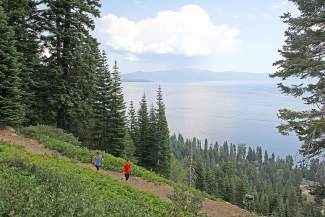 Homewood Mountain Resort on Tahoe's West Shore will serve as the start and finish of the inaugural Tahoe 200-Mile Endurance Run from Sept. 5-9. Aside from, maybe, Forrest Gump, not even the hardiest runner would want to tackle a foot race from Lake Tahoe to San Francisco. An equidistant course along the Tahoe Rim Trail, however, is a whole nother story. Nearly 200 ultrarunners from more than 10 nations and 28 states signed up to compete in the first single-loop, 200-mile foot race in the country — the Tahoe 200-Mile Endurance Run — from Sept. 5-9. The course, which actually measures 202 miles, Burt said, follows the majority of the Tahoe Rim Trail in a giant, counter-clockwise loop around the lake, skirting the western edge of Desolation Wilderness. 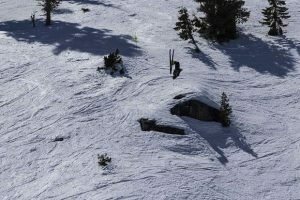 It starts and ends at Homewood Mountain Resort on Tahoe’s West Shore and climbs and descends 39,800 feet along the way. To even be considered as an entrant, runners must have completed at least one 100-mile mountain race — defined as having 15,000-plus feet of elevation gain/loss — or two 100-mile non-mountain races. “A lot of people are like, “Really? There are people who want to do a 200-mile race? But yeah, it’s the next big challenge in ultrarunning,” said Burt, who in the past year placed first in the Zion 100 Trail Run in Utah and second in the H.U.R.T. 100-Mile Endurance Run in Hawaii. She has never done a 200-miler. While roughly 200 people registered, only 74 were selected via lottery, Burt said, explaining that she wanted to keep the race small in its first year to appease the Forest Service and Lake Tahoe Basin Management Unit. 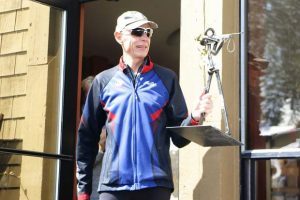 Despite completing only one 100-mile race — a monumental feat by any standard — Mike Tebbutt of Kings Beach jumped at the opportunity to participate in the Tahoe 200. He received a spot by volunteering to organize and run an aid station, which led him and his trail-running friends to create the Donner Party Mountain Runners club, whose members will man a station at Martis Peak. As excited as he was to toe the line, however, Tebbutt thought he might be forced to throw in the towel before the run began. He suffered tendinitis in his left leg while competing in the Western States 100-Mile Endurance Run in late June. He walked from miles 34 to 62 before dropping out, and has since been nursing the injury in hopes that it heals in time. It has. 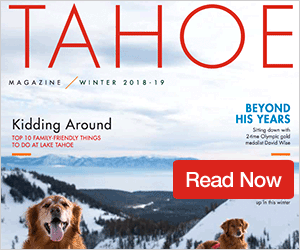 “I just in the last 24 hours had a turnaround, and I think I’m going to be OK to do it,” said Tebbutt, who has completed several endurance runs and Ironman-distance triathlons, and has even skied the entire high route around Lake Tahoe. While Tebbutt said his endurance training took a hit with the break from running, he thinks the backpacking trip helped prepare his body for the long days that he’ll face in the Tahoe 200. 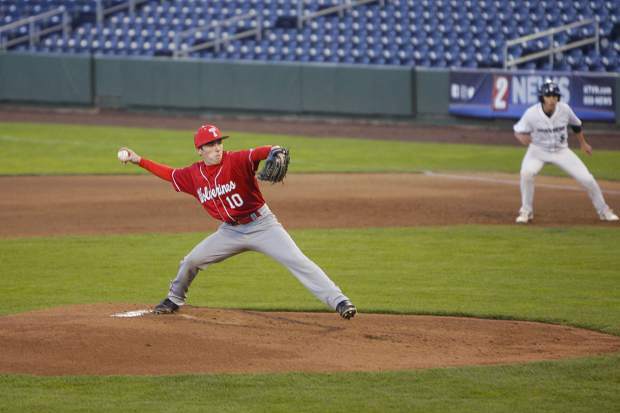 The final cutoff is 100 hours from the start. There are 10 cutoff points along the way. The run also will include sleep stations, although Tebbutt said he might just sleep along the trail when he feels the need. Whatever decisions he makes, he’ll make them on his own. After dropping out of Western States with an injury, Tebbutt said he doesn’t want to have to worry about letting down his support crew should he be forced to drop again. Among other Tahoe-area runners, Burt said Jon Arlien of Incline Village and Francesca Stone of South Lake Tahoe are slated to compete. Tebbutt added that Reno’s JB Benna and Jill Anderson, both members of the Donner Party Mountain Runners, also are entered.